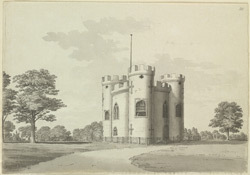 Thomas Farr based his castle folly on the Fort Belvedere tower near Windsor. It was built in 1766 and the gardens around it were landscaped in the later in the same century. The park and the castle still stand today offering Bristolians an idyllic refuge from hectic 21st-century life.